Everything was in balance though. The dough wasn’t soggy. There was a noticeable amount of sauce. 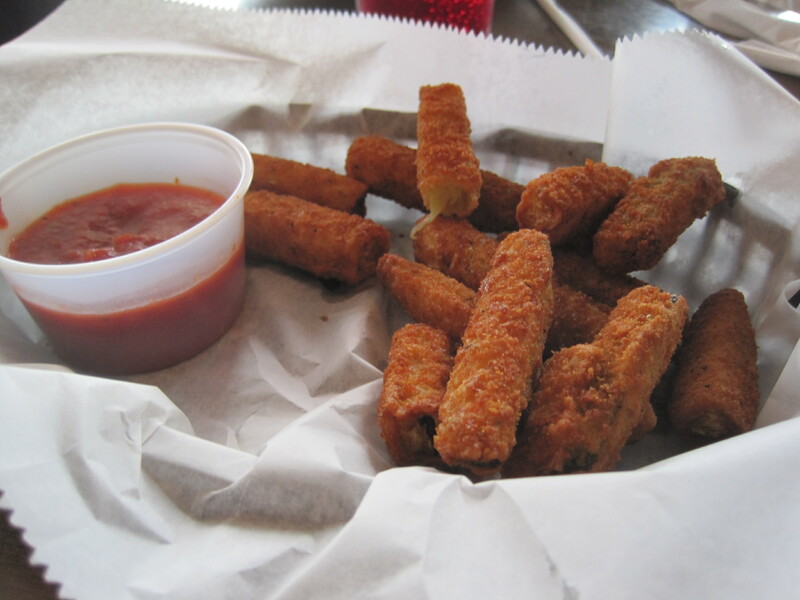 You could taste the mozzarella. And the pizza with toppings tasted fresh and didn’t weigh down the pizza. I’m mentioning this now because this comment has set my expectations of Shorty’s for a while. And having set the scene, I’m going to diverge for a bit and talk about Shorty’s plates. They have small plates, tapas inspired, and large plates. 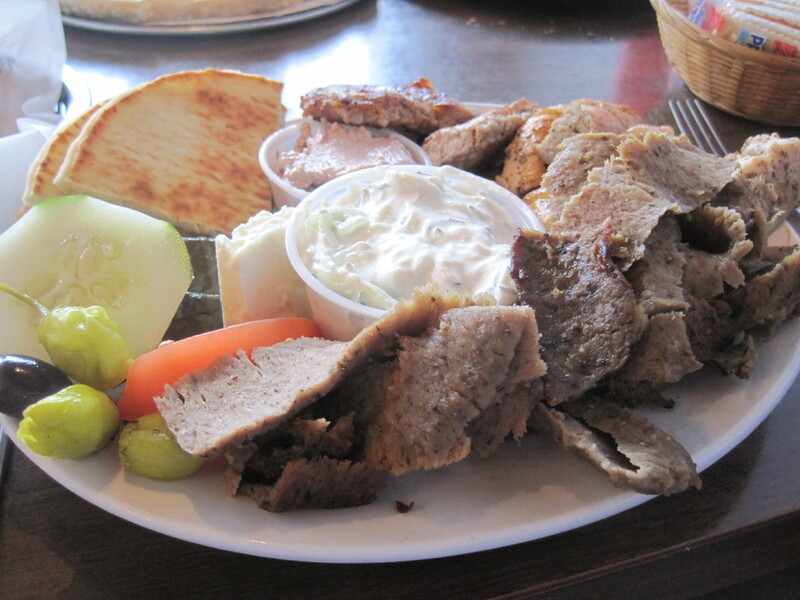 One of the large plates has 4 falafel and those caught my wife’s eye. Turns out, this was the best thing we ate that night. 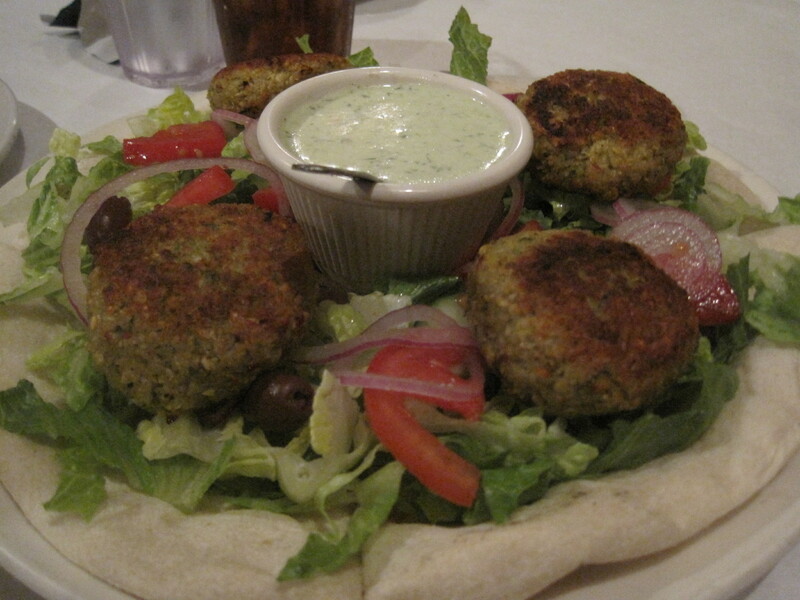 The falafel were crunchy and delightful. The restaurant in general has a good eye for ingredients and tremendous creativity in terms of their various plates and pizza combinations, pizza names for that matter. What I have never been able to do is duplicate the eating experience as in the Jimmy quote above. Great ingredients. Hilarious names. Ordinary crust. What I get in a Shorty’s pizza (I’ve been three times, twice to the Tucker location and once to the Decatur location) is some crisp around the edges and a soggy mess in the middle. It’s frustrating. You get the impression they know about good crisp crusts, but the pizza chefs, when I’ve been there, couldn’t execute. In terms of quality, I’d say that Hearth Pizza Tavern has a better crust and is far more consistent. And it makes me want to do this to their pie sometime, to see if it’s recoverable. So I recommend this spot with some cautions. The inventiveness and creativity of the menu makes it worth a trip, but be warned, I’ve yet to see the crust and pizza that Jimmy thought so much of. 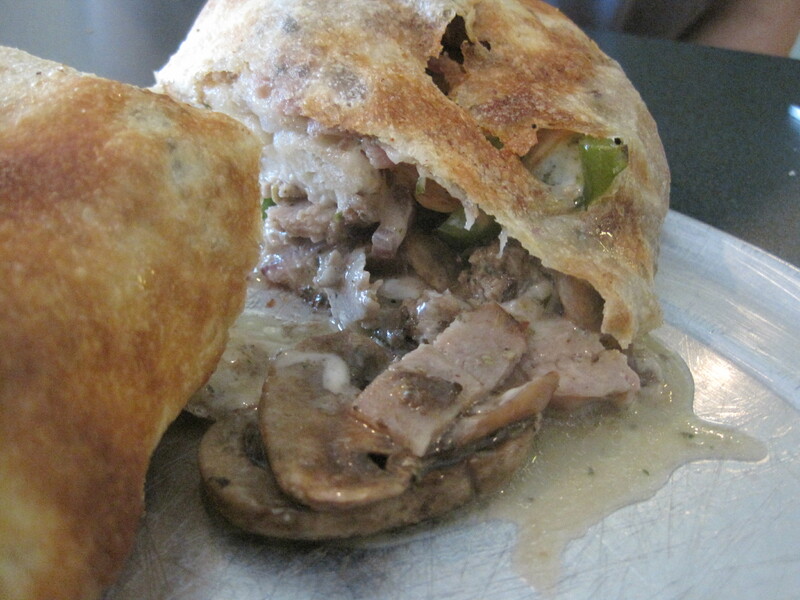 I’ve not had strombolis many times in my life, but I know a good crust when I see one. 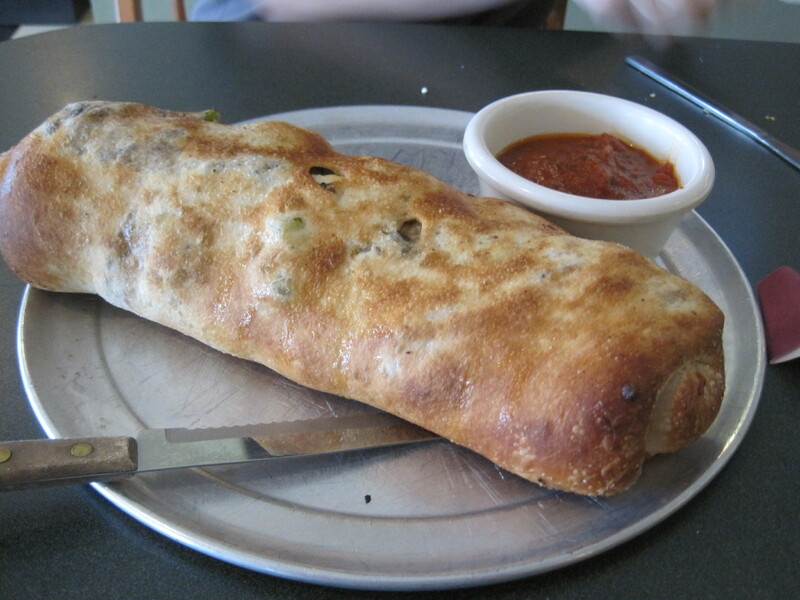 I’d had mixed luck with the pizza at Cioffi’s in the past, but this stromboli is a sharp double, if not a home run, in my book. OMG! Look at the crust! The stuffing was pretty darned good as well. I can’t entirely figure out what prompts someone to react to a restaurant or a location. 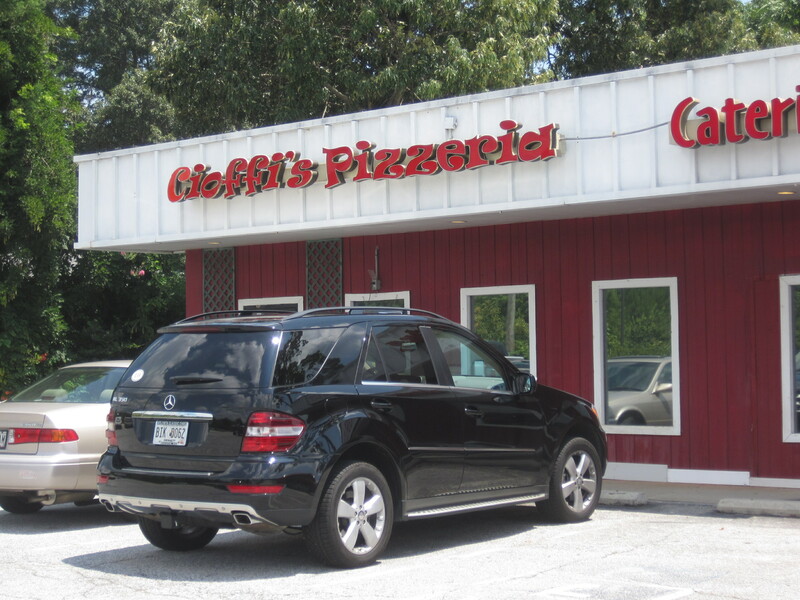 We’ve driven past other Fellini’s Pizza restaurants plenty of times. But getting lost on the way to Miso Izakaya, and finding the Fellini’s near the corner of Clifton and McLendon Road triggered something in my wife’s head. She was determined to go back there. So yes, there we went. Plain looking. Hardly plain tasting. 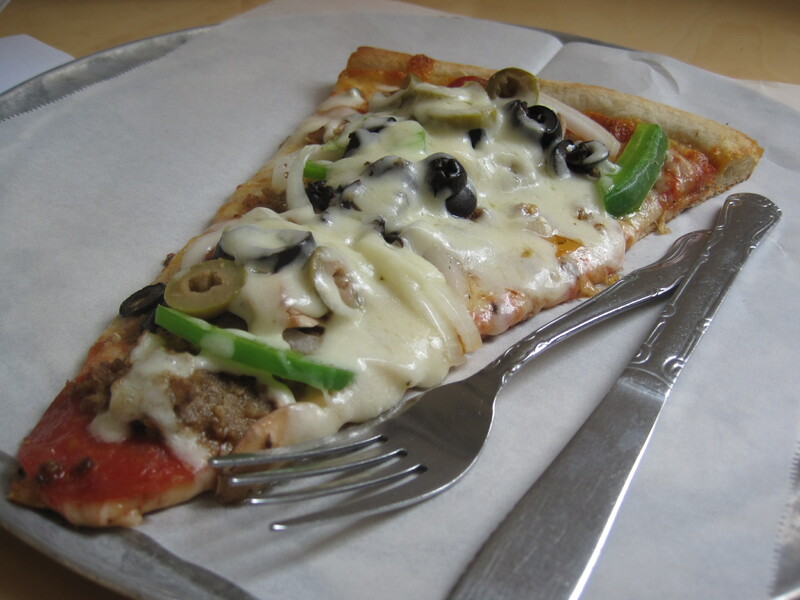 It’s pretty no frills, so no frills that a diabetic trying to avoid pizza slices should not go. 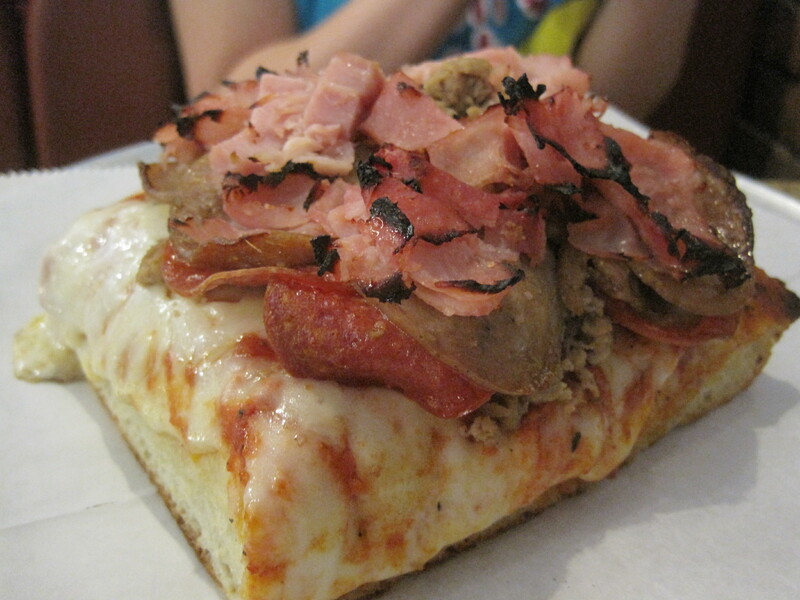 There are no sandwiches at this Fellini’s, just pizza and salads. 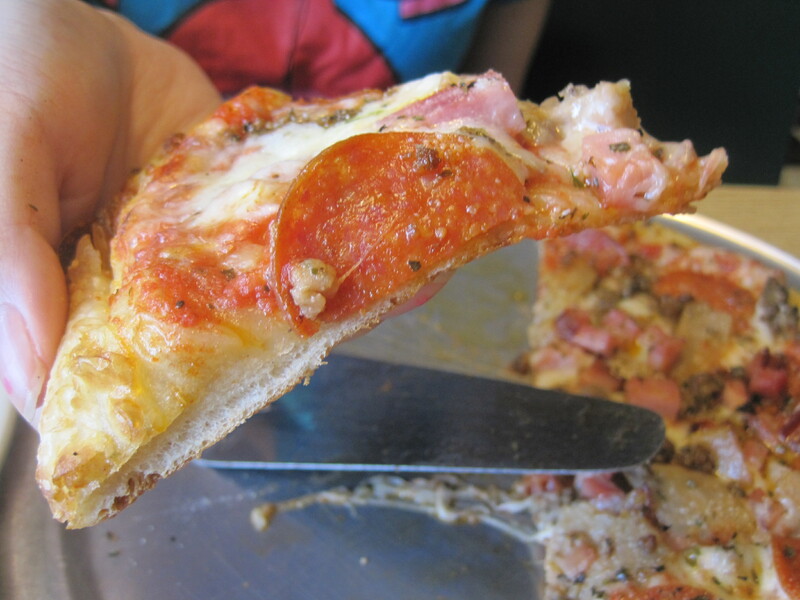 But the toppings are good, the crust is good. No, it won’t score points for the “best in town”, but most best in town choices aren’t this convenient. Further, they do well with simple concepts. The slice of white above looks plain. It doesn’t taste plain, with plenty of appropriate spicing thrown into the mix. I liked what we had here. 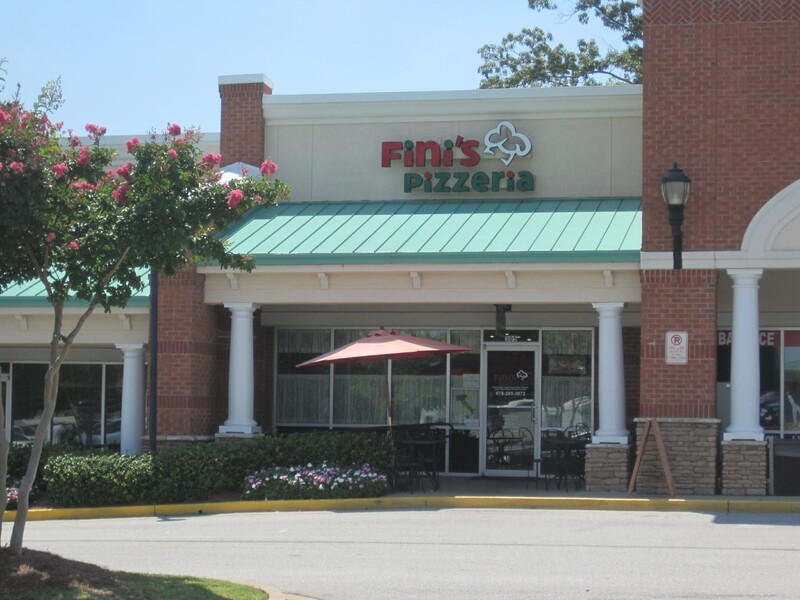 They have a praiseworthy thin crust, decent salads, fast service, and the price is right. Go sometime. You won’t regret it. 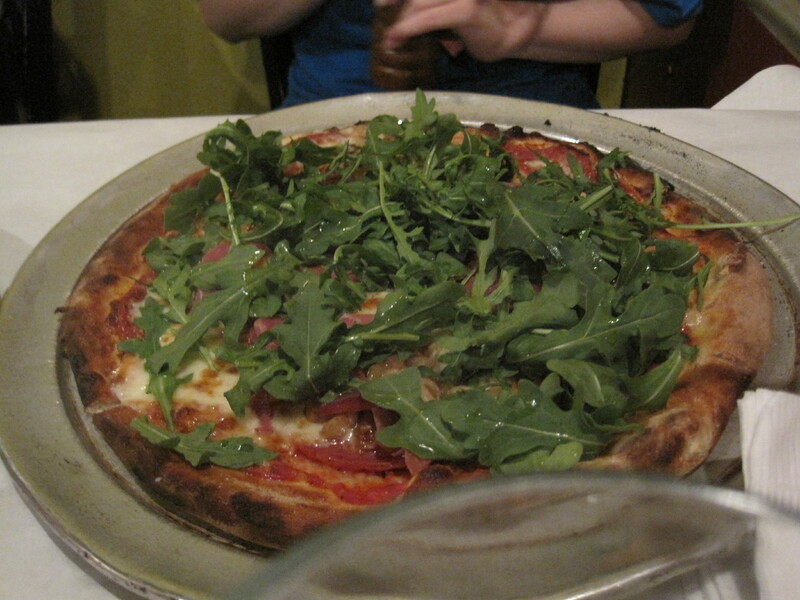 Notes: currently there are 7 Fellini’s Pizza restaurants in town. The Fellini’s web site gives the locations. 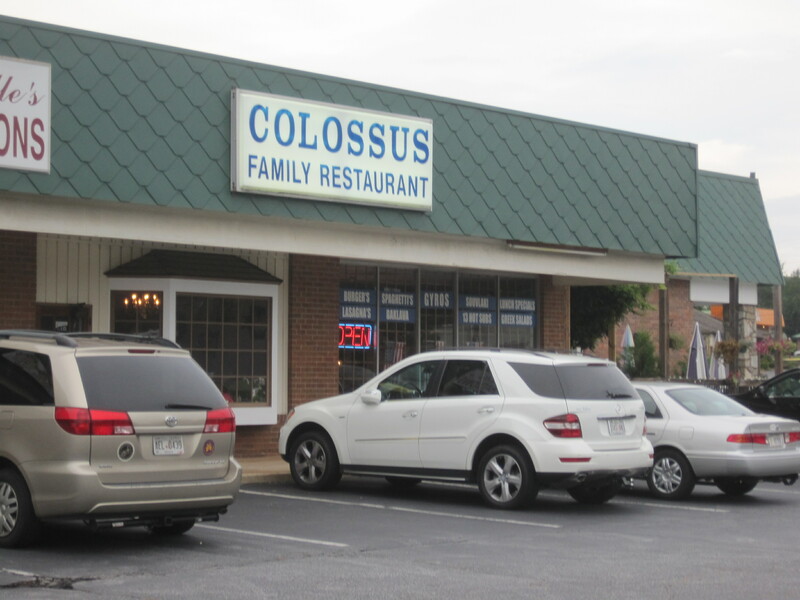 Step into this eatery, and 5 consecutive years of “Best of Gwinnett” awards pass you on the right. 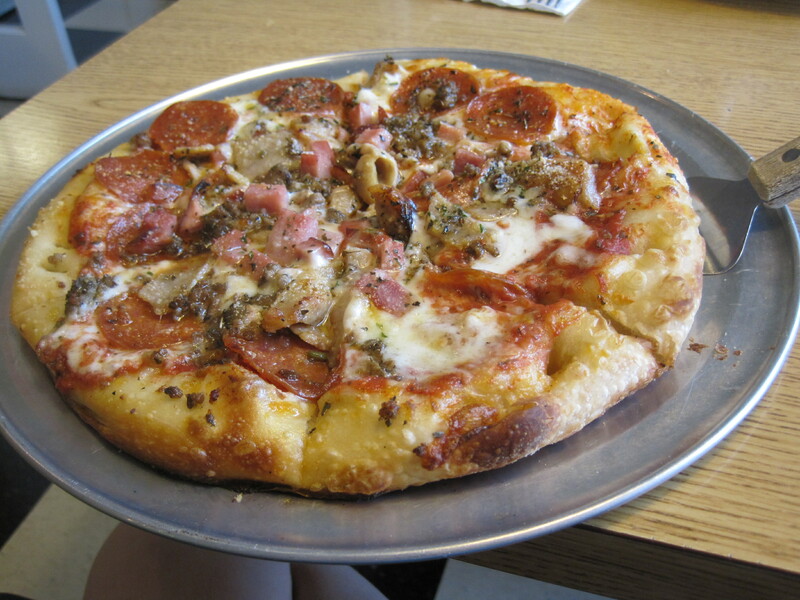 Fini’s is surprisingly good for a pizzeria on the edge of town. It is just to the east of I-85, in a mall centered by a Publix, and almost impossible to spot from Old Peachtree. These days, this is the sole Fini’s in Lawrenceville, as the other fell victim to a rent tripling scheme (*). My daughter and I went for lunch, and after having had a lot of fair to middling pizza, were pleased as punch we chose this location. Crusts here were nicely done. The photo doesn’t do the size of this sandwich any justice. 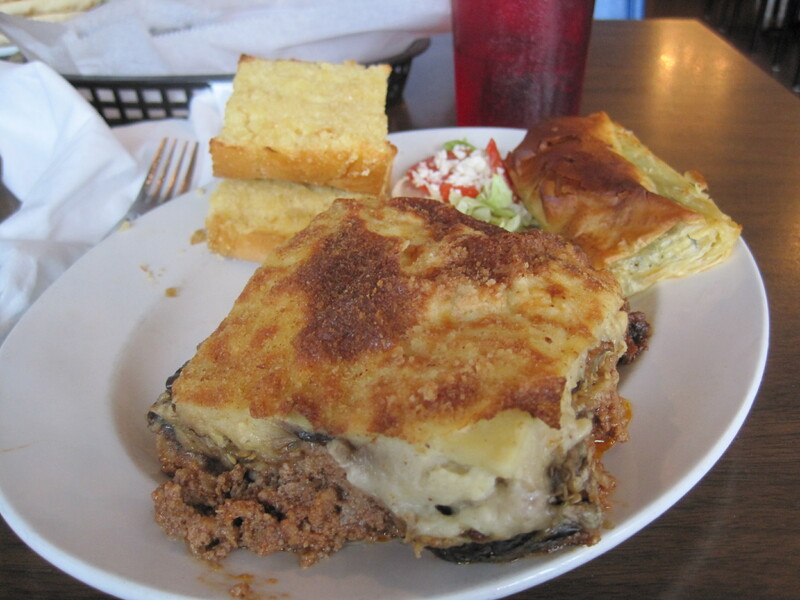 The bread and cheese were fantastic, the eggplant merely good. 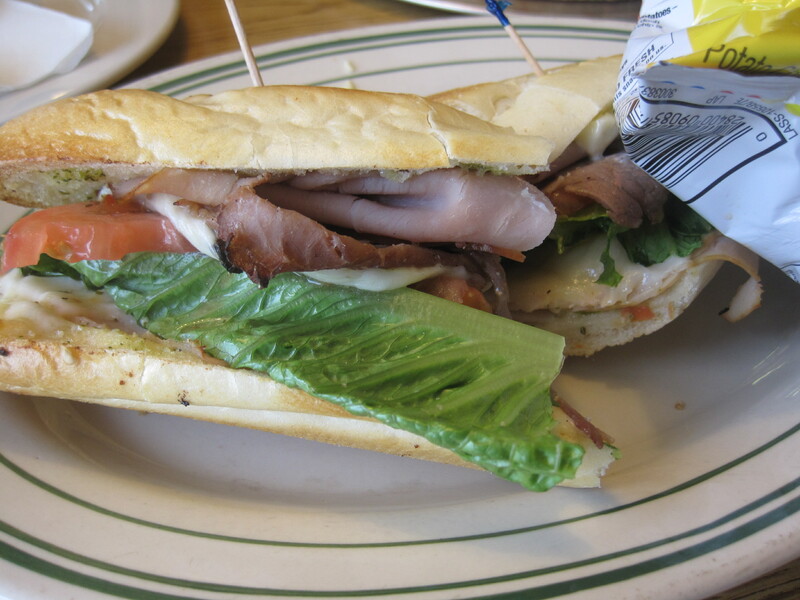 Another view of the sandwich, showing the insides. 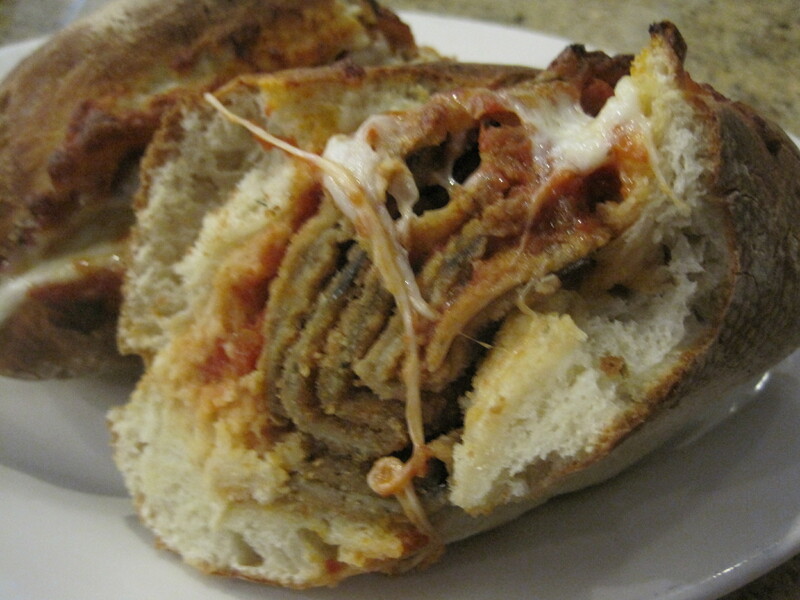 My daughter had a slice of Sicilian, and I had their eggplant sandwich. Her crust was the way a thick slice should be, and size and crusty character of the sandwich bread was totally delightful. The eggplant was wrapped in a batter, and wasn’t bad. 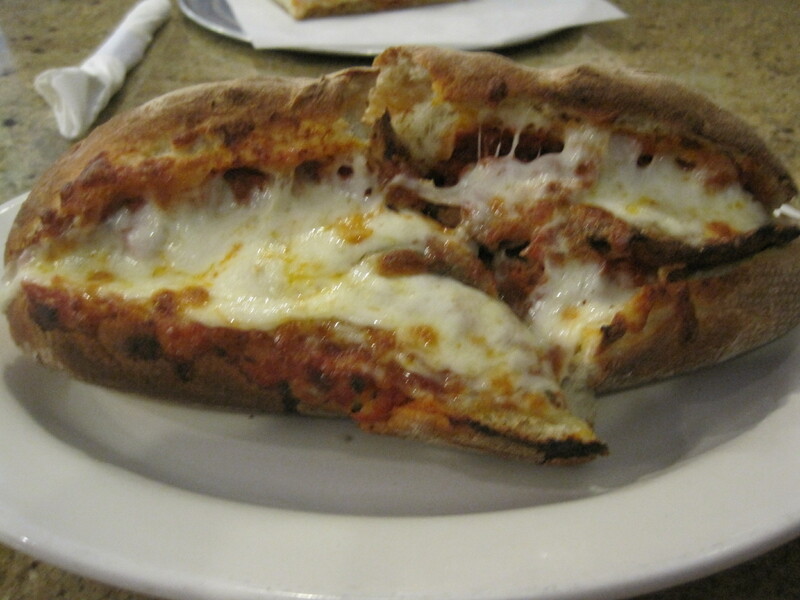 Fini’s has an Italian sausage sandwich, and that kind of spicy meat with this kind of bread would be totally over the top. (*) I know this because Tower Games also left the mall, and my contact in the gaming community, Deep Gamer, let me know all about how the strip mall was seeking to profit from expansion by the nearby hospital. 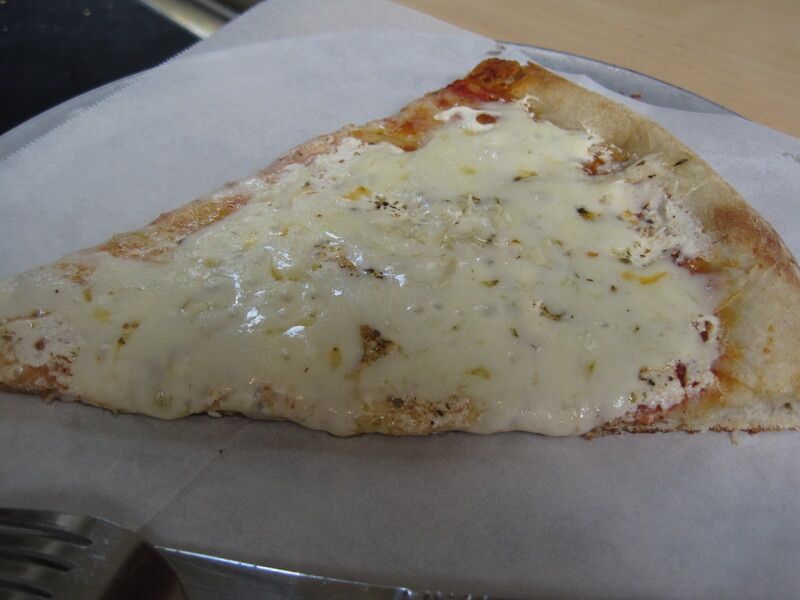 I’ve spoken about Johnny’s NY Style Pizza before, and really didn’t expect to be talking about one of these restaurants again. But Terrapin Beer Company (@TerrapinBeerCo) sponsored what they called a Tap at the Grayson Johnny’s, and as it was just a drive down Webb Ginn Road and turn right for 1.3 miles, yes I went. The Johnny’s is a little past the Kroger on Grayson Highway, and is impressively built. Plenty of glass and nice brick make this one of the best looking Johnny’s I’ve ever seen. As I was there to drink and eat, I spent most of my time at the bar. The bar top is three sides of a square, seats perhaps 15-20. There are tables clustered around the bar, where you can also eat and drink. I liked this bar, as it’s friendly, very Cheers-like. They have 24 beers on tap (8 were devoted to Terrapin product this night), plenty of them quality beers, and the bartenders (there were a pair of them this day) were engaging. Terrapin staff were in the mix as well, talking with customers, handing out swag. Terrapin's Wake N Bake Coffee Oatmeal Stout, in a tulip glass. A richly flavored beer with significant bitterness from the coffee. Terrapin is a local brewery, headquartered in Athens, GA. Terrapin’s product, aimed at the craft beer crowd, is very American in character, tending to higher ABVs, plenty of hops, plenty of flavor. Beers such as their Hopsecutioner are very well received, and accessible. I can find Hopsecutioner at my local Kroger. At times, though, their enthusiasm leaves people like me a little concerned. It wasn’t that long ago selling most of Terrapin’s product in Georgia would have been illegal. 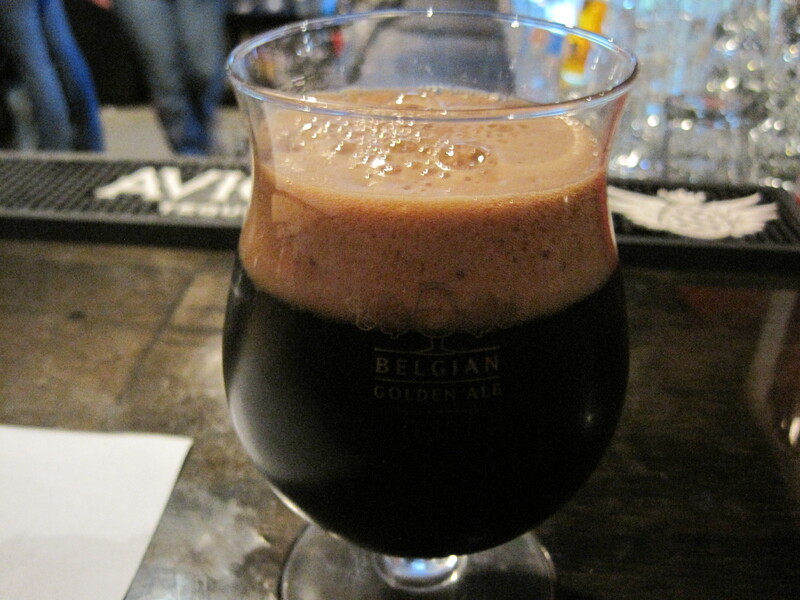 Being sessionable is something you see a lot of experienced beer heads concerned about. I spoke a bit with Justin Gwin late in the day, a manager with Terrapin, about a lot of things. To some extent, I asked about Terrapin’s philosophy, a bit about their site, whether they give tours (they do, on Wednesdays through Saturdays). He tells me that they’re considering a beer with 4.5% ABV. That’s not DING’s definition of a sessionable beer, but certainly one closer to the mark. In terms of food, I had Johnny’s meatball sub and some wings. The sub was up to standard, cheesy, meaty, with a good marinara. The wings were good, the hot buffalo sauce a milder hot. I’d show a photo but all the food photos ran bad this day, just my luck. It was an interesting crowd overall. I got a food tip from a chef who works at Bonefish Grill, I saw the owner of this Johnny’s in the distance, the Terrapin staff were friendly and talked knowingly of their product. Verdict: One of the prettiest Johnny’s I’ve seen. One of the best local bars I’ve seen, in terms of how they treat customers. The food otherwise is up to Johnny’s standards.